Take it from a cat who looks quite happy with mismatched socks. 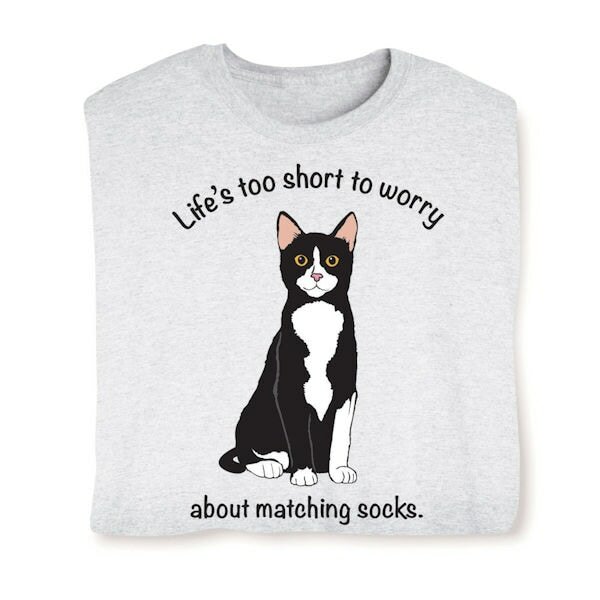 A fun gift for cat lovers and/or worrywarts, Ash gray sweatshirt is 50/50 cotton blend, T-shirt is preshrunk 99/1. Sizes S-3XL. Imported.